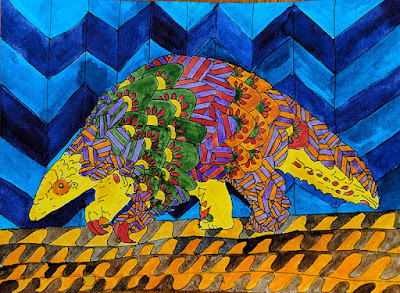 Linda's work is always so beautiful, and so interesting to learn of the pangolin. Awww, I loved the pangolins from last week. Great work, Linda. Happy PPF! Such a colourful and interesting piece Linda, Congrats!! WOW! nice art from Linda Calverley. 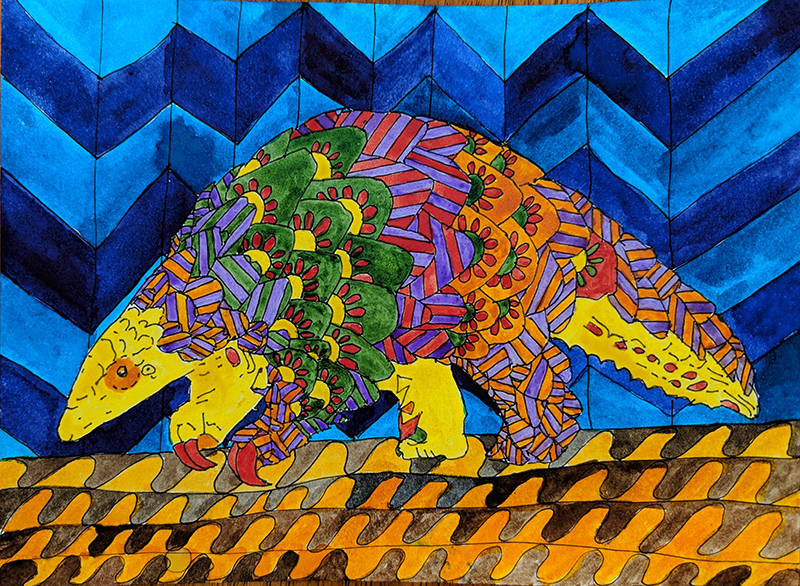 Love he vibrant pangolin from Linda C! Happy PPF to all! Well that was a surprise when I opened this page. Thanks for the lovely comments. Happy PPF. Beautiful, vibrant and expressive art, congrats to Linda! I was out of town on Friday, and then have been ill with pneumonia since I arrived back home. Forgot to put my link up, so here it is. I just LOVE Paint Party Friday--and Linda's artwork is so beautiful--I LOVE it! making such a dull coloring animal into such a bright one is truly incredible.